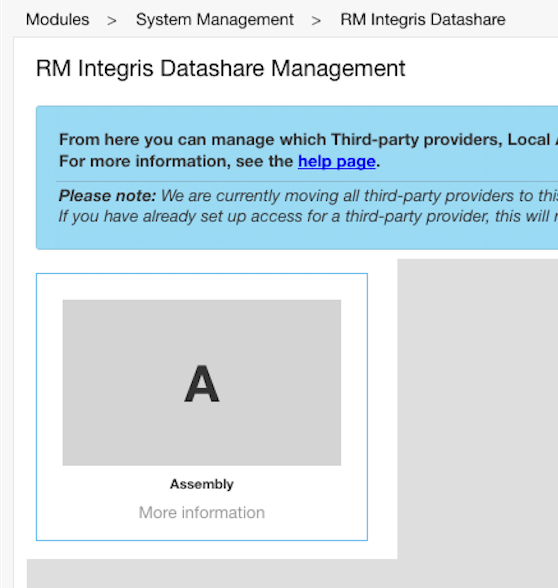 To grant Assembly access to your RM Integris, log in to RM, go to the menu and select System Management -> RM Integris Datashare. Next, locate the Assembly tile and click on it. This will take you through to a page where you can grant access to your data. Check that you are okay with the permission being given and click Grant Access. You will also have to accept the terms and conditions. 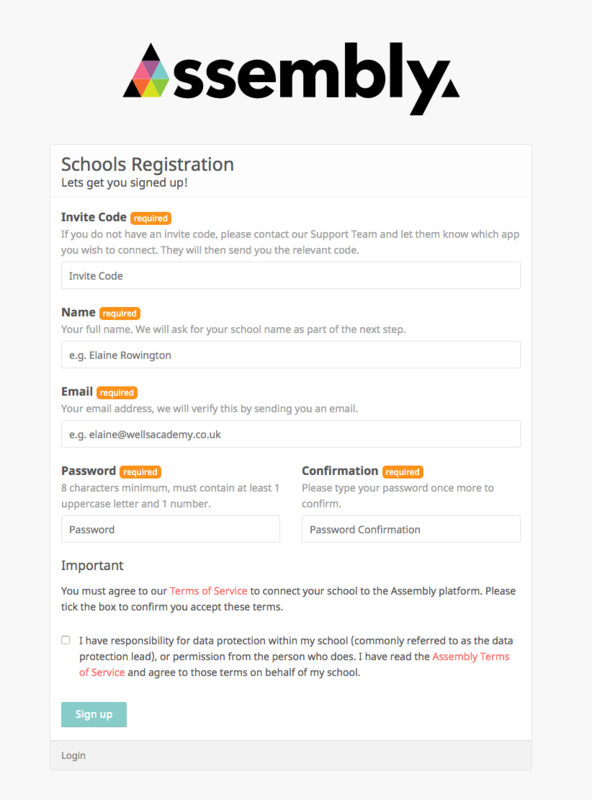 Go to the Assembly platform sign up page. 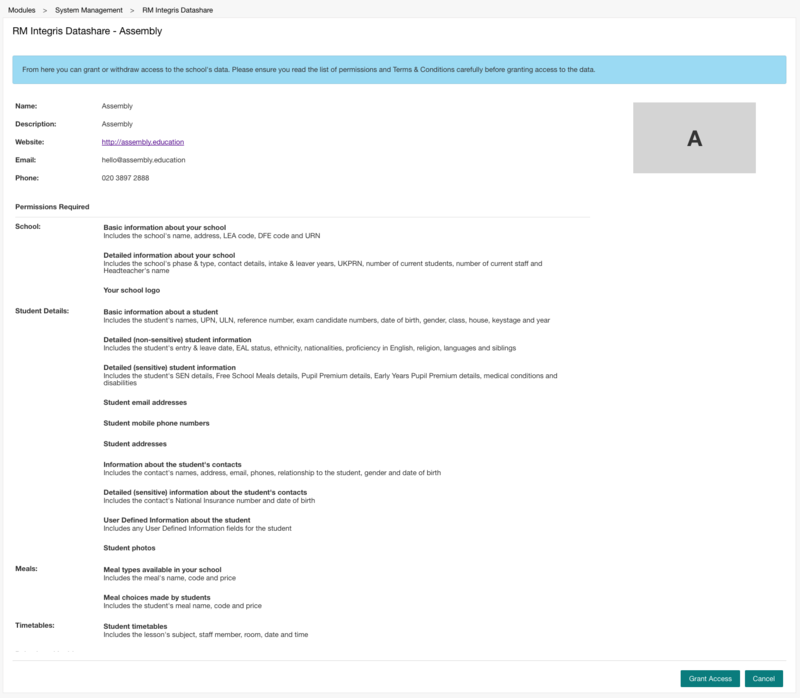 This step can be completed by the data manager or an IT manager in the school. 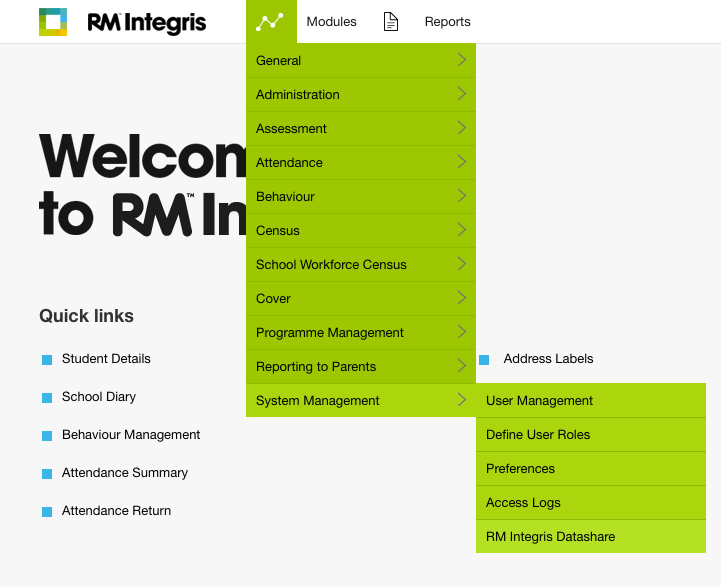 Select RM Integris as your school’s MIS Provider from the dropdown list and press Continue. If you have successfully authorised Assembly, you will see the below message. 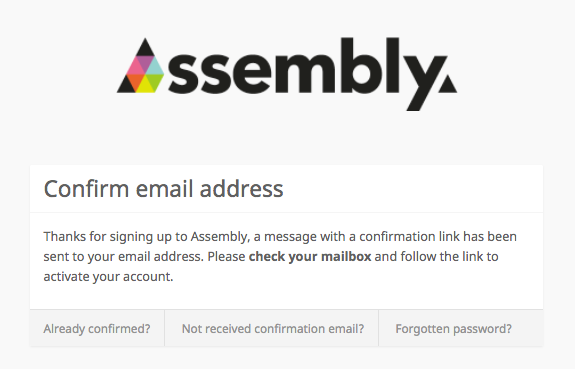 You will need to click Connect to confirm the Assembly connection and within 30 minutes Assembly should sync with your RM account. No sensitive data will flow in to Assembly until you've authorised an app.